All kids have great potential. At the Y, a leading nonprofit strengthening community through youth development, we work every day to help them set and achieve their personal and educational goals. As a result, millions of children and teens nationwide gain confidence as they recognize the Y as a place where they belong and can feel comfortable exploring new interests and passions. Through our leadership and academic enrichment programs such as mentoring, Youth and Government and college preparation, the Y makes sure that every child has an opportunity to envision and pursue a positive future, and to take an active role in strengthening his or her community. NOTE: Program offerings vary by location and time of year. The Black Achievers program provides college readiness and career awareness to African American teens in Wilmington. African American mentors from diverse career fields are nominated by the local business community to serve as role models, preparing participants for future success. The Achievers meet weekly for one year at the Walnut Street YMCA. The year culminates with an Annual Awards Dinner to honor the Adult Achievers and recognize Teen Achievers who are eligible for scholarships. This is an opportunity to meet other members, go on field trips, play games, make community contacts and learn something about yourself. The core values of the YMCA: Honesty, Caring, Respect. and Responsibility will be emphasized. 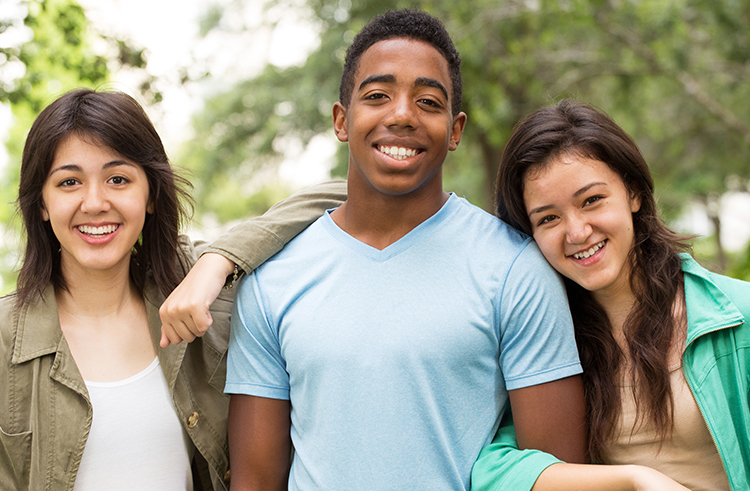 Recognizing that high school students can get more out of a summer camp program, YMCA Leader in Training programs are centered on building skills for teens. Teens learn through daily leadership workshops and shadowing staff while working together on a variety of projects. Our staff and Leader in Training participants form a mentoring relationship- providing feedback and insight into their efforts on the different tasks they take on. Teen Leaders is a productive, fun group where teens get together to make contributions to their community. They will plan fundraisers to earn money for special trips and charities, volunteer within the community at places like nursing homes and hospitals, and go on overnights and weekends away. Besides teens helping the community, participants will also learn and help each other grow. Lifelong friendships are founded within this program. The Walnut Street Teen Workforce Development program provides job readiness and life skills for teens ages 15 and up while addressing a dire need for positive opportunities available to adolescents within the City of Wilmington. Cohorts of up to 20 teens are matched with a professional career mentor. Teens participate in workshops focusing on life skills and job readiness. Topics include resume writing, financial literacy, stress management, conflict resolution, etiquette, public speaking, presentations, career guidance, interviewing techniques, job searching and placement. Each participant will be placed within a partnering agency and/or welcomed in at least one of the following departments within the YMCA: Youth Sports, Aquatics and Lifeguarding, Childcare, Membership, Maintenance, and Community Outreach. Youth in Government offers model legislative and judicial experiences for youth in grades 6-12. Students have an opportunity to learn about the legislative process, debate parliamentary procedure, and work with peers to develop solutions to problems affecting Delawareans. Weekly meetings begin in January and continue leading up to the Training and Elections Conference in mid-March, and the culminating event, Model Legislative, and Judicial Conferences in early April. Both events will take place in Dover, DE at Legislative Hall and the Kent County Court House. Click here for more details.